Sweet Home Assisted Living | Relax, your search is over. You have arrived. 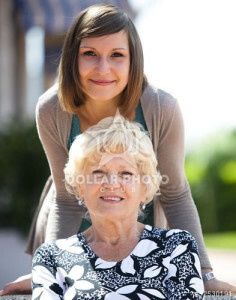 Why Choose Sweet Home Assisted Living? Sweet Home is exactly what you ordered. Our beautiful facility has all the amenities of hotel living, yet personalized to meet the needs of our beloved aging population in a home setting. Sweet Home is designed based on hands on knowledge that provides for the continued development of people that are most important … OUR LOVED ONES. We have walked the path of finding alternative housing and engaging activities for a loved one, so we know your distress. Equipped with experience and caring attitudes, we’re eager to answer your calls, passionate about providing answers and quality service that matter. So relax your heart; open your minds; breathe and release; you have arrived … SWEET HOME! Our goal at Sweet Home is to soothe the aging process and ensure realistic participation in setting individual goals. In addition, we strive to stimulate active participation in our community. Our intentions are pure and simple. We will use an extended family to develop holistic increase that will aid in the quality of life for our aging and disabled population. All caregivers are CPR Certified and trained in First Aid and the handling of seizures to ensure that the needs of our clients will be met during an emergency. Our intentions are pure, and our philosophy is founded on hope and gratitude. We are most grateful for life and all her beautiful gifts. We will stop at nothing to promote quality of life in all its stages. Now Taking Reservations, contact us today!